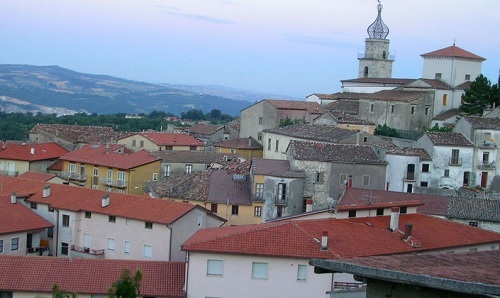 Sepino is located about 20 km south of Campobasso in the middle of the uncontaminated green valley of the Tammaro river surrounded by the Matese mountains. 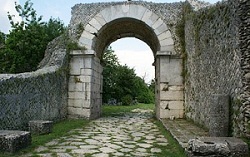 Sepino is best known for the presence in its territory of the ruins of the ancient Roman city of Saepinum which are also linked to the events which gave rise to the present inhabited hills. 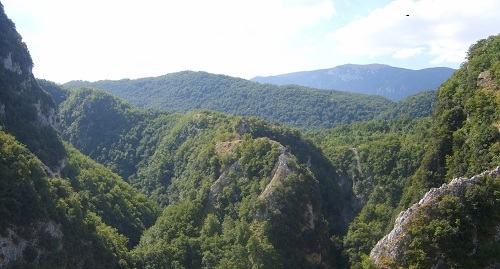 The little hamlet is also a repository of thousands of years of glory, which make it a perfect destination for the lovers of nature and history. The name derives from the Latin "saepes" (hedge) and "Saepio" (to surround), from which comes "Saepinum". Once surrounded by thick wall it still retains its original medieval structure with narrow streets, typical fountains, and some of the watchtowers towers located at the entrance gates to the main centre. 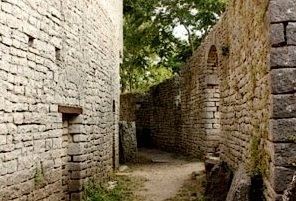 The earliest traces of human presence in the area date back to the Neolithic period. In the III century B.C. it became an important center of the Samnites, which was destroyed during the Third Samnite War. After the fall of the Roman Empire, Saepinum became a Lombard center with the name of Altilia (from the German alt-teil meaning old part). But the position in the plain made it very vulnerable which explains the movement of the population in the 8th century to a nearby hill where they built the Castellum Saepini while another part returned to the Samnite area of Terravecchia and built "Castrum Vetus" (Castelvecchio). In the area called Terravecchia there was a prehistoric settlement of the early shepherds of the Bronze Age, then there rose the powerful ancient Samnite town of Ocre Saepinatz, one of the last in Italy to surrender to the Romans in 293 BC. Not known is the exact date when the Roman town was abandoned, but by analogy with other territories of Matese, it is conceivable that even in the case of Sepino all have originated with the Saracen invasions of the ninth century. 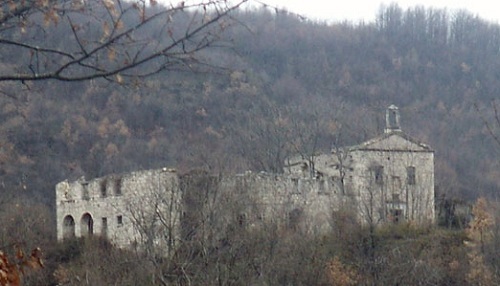 The need for better defense resulted in the formation of fortified towns on the hills surrounding the upper valley of the Tammaro, among which the most important is Sepino. 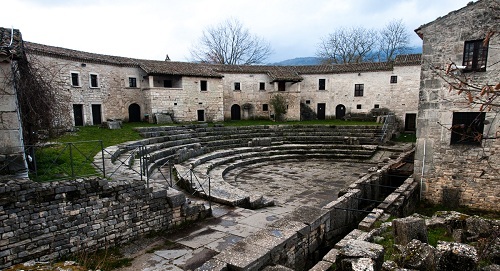 In the 11th century AD Sepino was under the Norman County of Bojano. 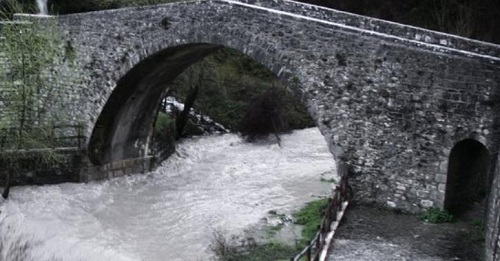 After the 1456 earthquake also the inhabitants of Castelvecchio moved where today Sepino rises. 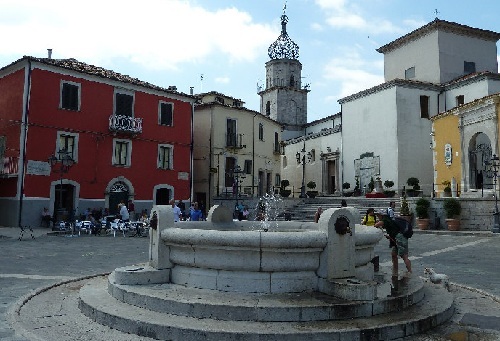 In the 15th century Sepino was a flourishing center, also thanks to bishop Antonius Attilius, then under the de Molisio barons it was also seat of a Tribunal under the Kingdom of the Two Sicilies, and among the ten most important centers in Molise. 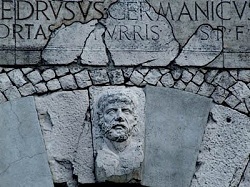 Then it was under other feudal lords: the Capua-Altavilla and the Carafa family. In 1805 a terrible earthquake destroyed most of the town and the castle. The civil architecture, while denoting characters of rurality, presents examples of dignified homes especially those built or renovated after the earthquake of 1805, some of which are transformed into the stately buildings that now make up the crown stage at the town's main square. The architecture style that most characterizes the historic center of Sepino, however, is that relating to the churches, demonstration of the great religiousness that has affected the community sepinese since 1098 as a result of an exceptional event that would give life to the customs and religious rites handed down to the present day. The religious fervor that pervaded the Christian world in the eleventh century, culminating in the First Crusade to the Holy Land, had a big impact on the economy of the communities located along the main roads of communication that led to the ports and the sanctuaries of Puglia. 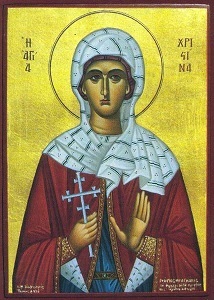 Not excluded was Sepino where the relics of Santa Cristina were transported, attracting a large flow of pilgrims. 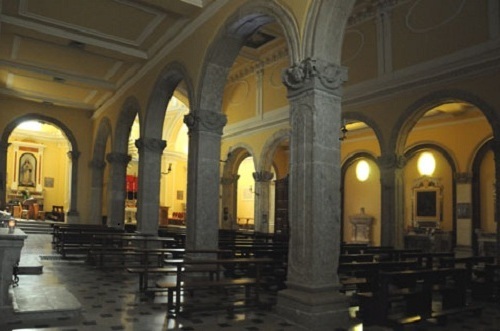 The name of the church where the sacred remains were collected was changed from San Salvatore to Santa Cristina which, while retaining the eighteenth century character has lost most of the decorations described because of the damage caused by the earthquake of 1805 and the inevitable subsequent renovations to it. Among the buildings located in the historical center is worth mentioning the Palazzo Attilio, so called because it was built in 500 by Antonio Attilio, Bishop of Termoli from 1518 to 1536 and a native of Sepino. The building, still in excellent condition, is placed above the main door of the old town and features elegant windows and pink stone portals with stylish frames decorated in relief. 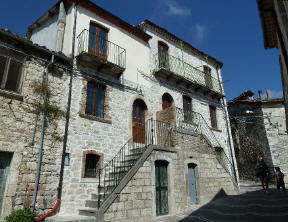 The building is one of the most interesting examples of Molise Renaissance. Other sightseeing include. the Church of Santa Maria Assunta, the former Church of Santo Stefano, the Church of San Lorenzo with its Romanesque bell tower, the Convent of the Holy Trinity and the Church of the Purgatory. The remains of the antique Saepinum, an inhabited area since the Augustan age. Still visible and recognizable are the traces of the Roman walls, the forum, the baths, the theater.